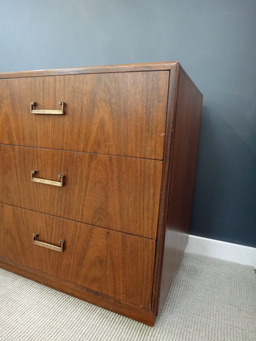 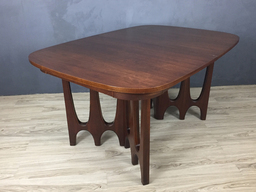 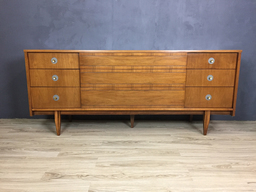 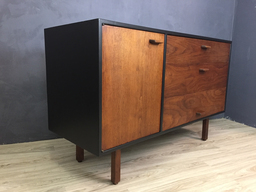 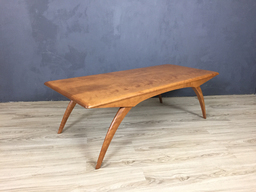 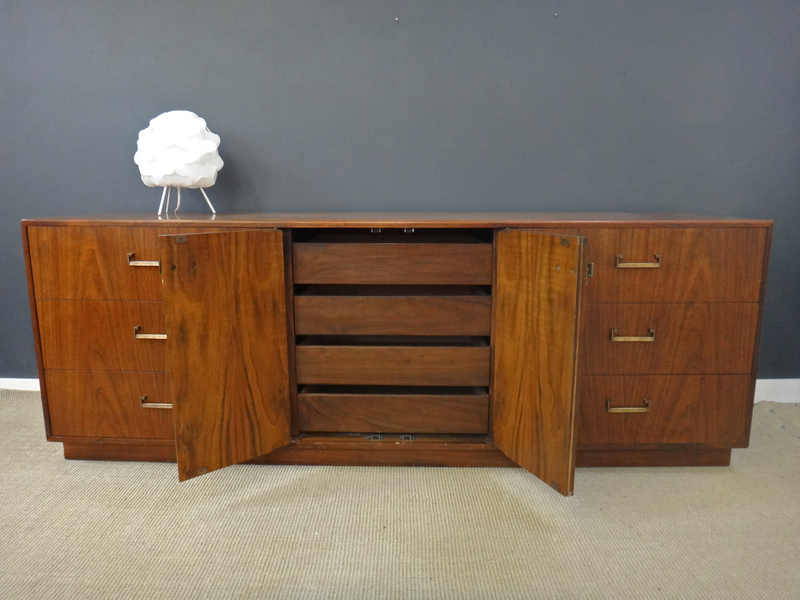 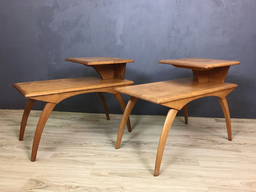 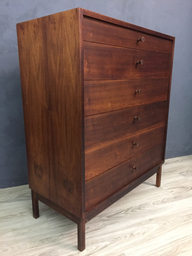 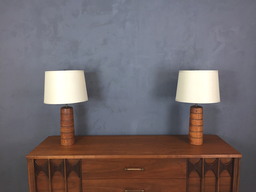 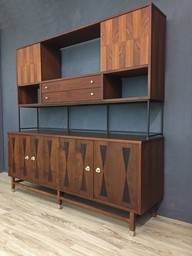 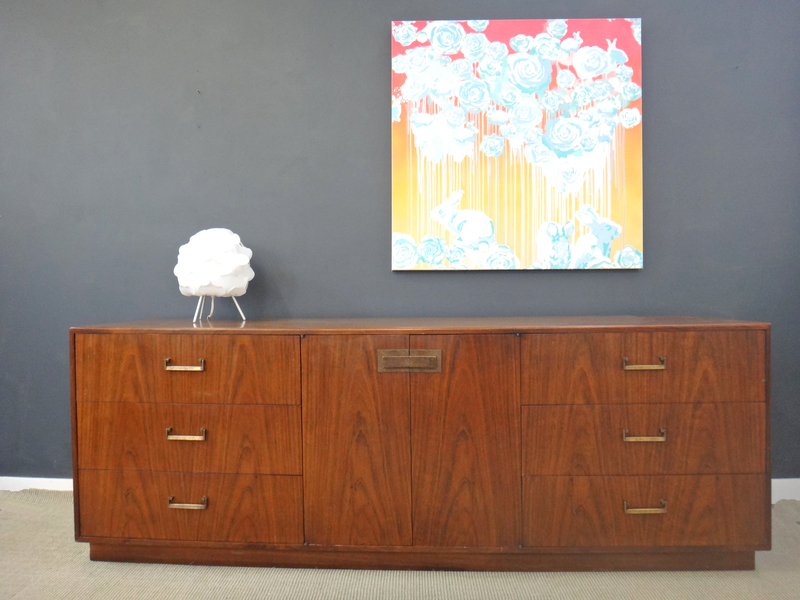 This classy walnut dresser was manufactured by the Founders Furniture Company in the late 1960', early 70's and has had only one owner. 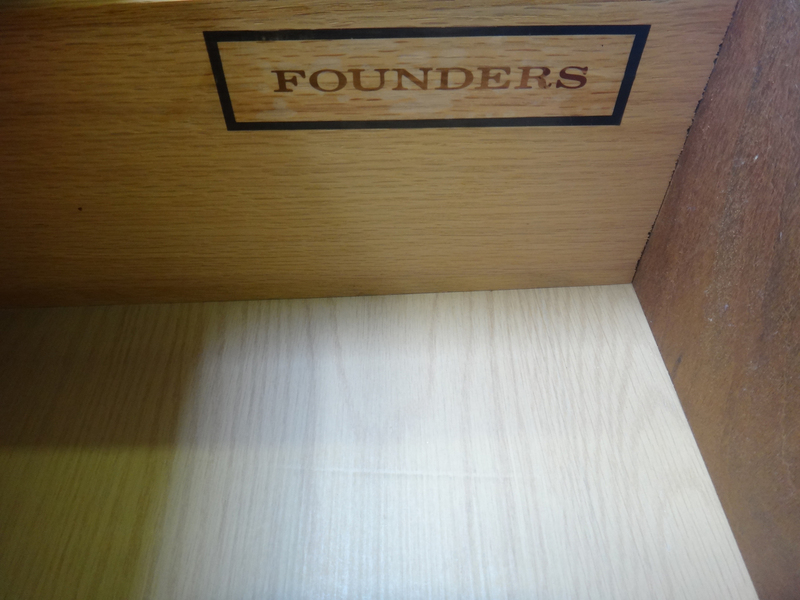 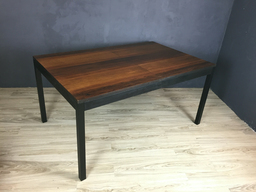 In the Founders tradition, this piece is elegantly understated and beautifully constructed with dovetail drawers and solid wood contstruction. 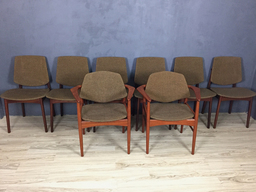 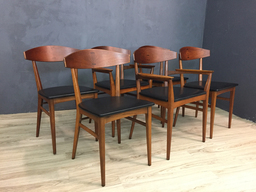 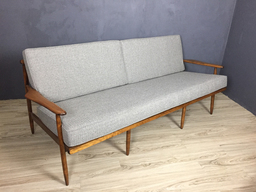 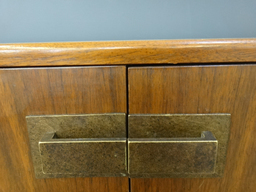 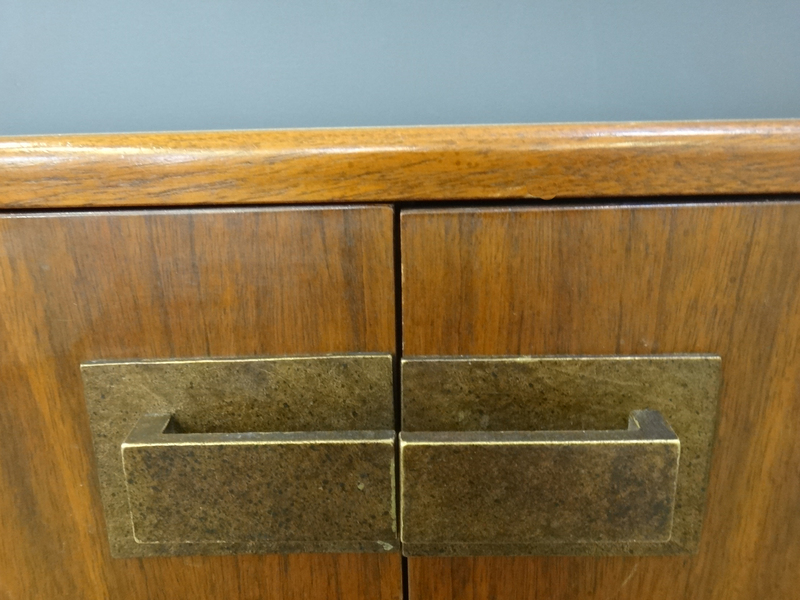 Features original brass hardware, original finish which is in great condition and a very clean interior. 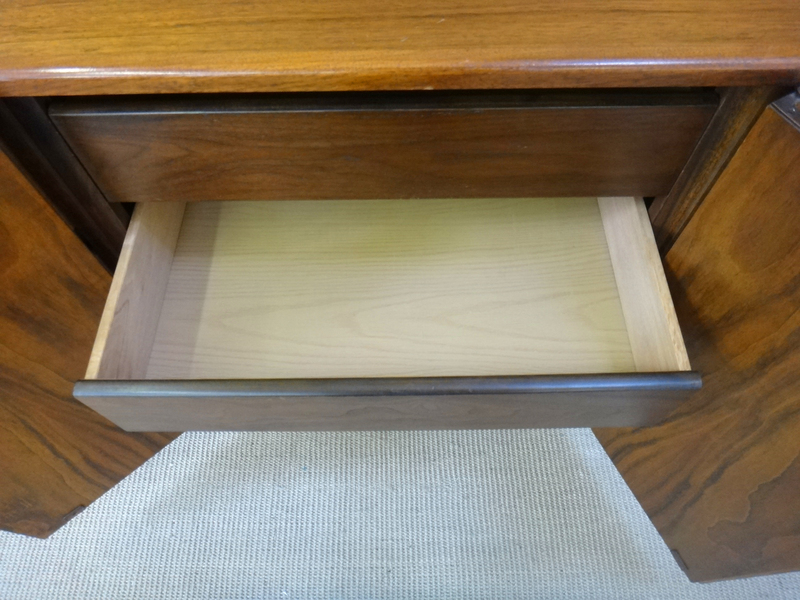 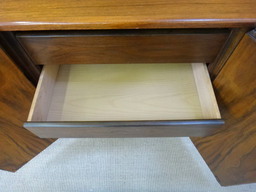 Six drawers with smooth sliding mechanisms, and four additional drawers behind the cabinet doors.